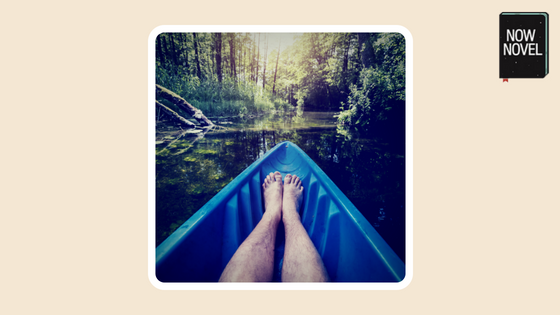 First person narrative lets your main character take the reader into their confidence. 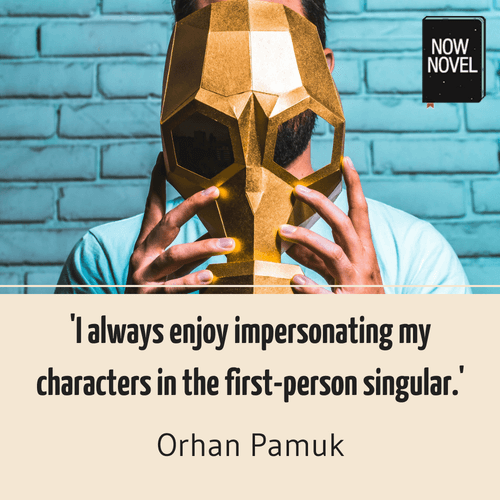 The intimacy and immediacy of first person, how it closely involves your reader in your narrator’s world, makes this point of view (POV) naturally engaging. In first person, perspective is everything. Tint your narration with words that reveal your narrator’s personality, their unique perspective. J.D. Salinger’s disaffected teen Holden Caulfield is a strong example of a characterful first person narrator. Caulfield is an icon of teenage angst in fiction. The language Salinger gives him is responsible for this, in part. Holden’s voice is clearly a cynical teenager’s. His ‘You probably heard of it’ has a world-weary ring to it. The tone is also informal (‘always showing some hotshot guy’), with a note of judgment (‘some hotshot guy’). He also uses dramatic exaggeration (‘in about a thousand magazines’). Register: Is your narrator’s tone formal or littered with slang? How does this reflect your narrator’s age or background? Word choice: Mark Twain wrote ‘A man’s character may be learned from the adjectives which he habitually uses in conversation’. Does your character use positive words to describe people and places or mostly negative? What do their choices reveal? In first person narrative, it is tempting sometimes to over-describe what your narrator sees and experiences. Filter words and phrases such as ‘I saw that…’ out. They remove your reader further from a scene. Immediately, we see the door, not the character seeing the door. We look through the first person narrator’s eyes directly at the scene, and this puts us right there. 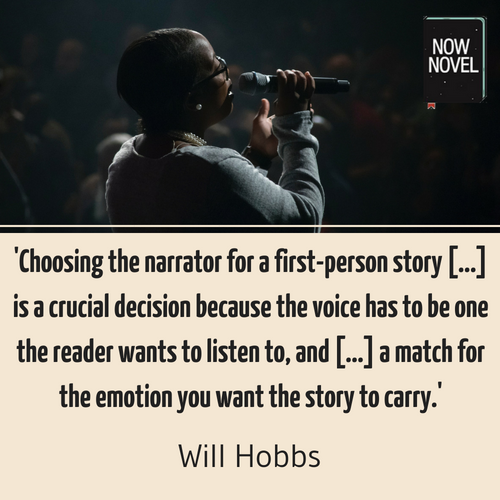 There are many examples of first person narrative where the first person narrator confides in the reader. For example, Jane Eyre’s ‘Reader, I married him’ in Charlotte Brontë’s famous classic. You don’t need to break the fourth wall like Brontë and address the reader as a reader. The effect may be subtler. Here, Julian confides his artistic ideals in the reader. He stresses that he’s not envious of another artist’s commercial success (yet disparages it all the same). This tells us his character. It suggests he won’t sacrifice his values or ideals for the sake of a buck. Yet the mention of the other artist’s success compared to his own lesser success (commercially) reveals that this is still something on his mind. Without saying ‘dear reader’, your first person narrator can explicitly tell your reader valuable information about themselves that is relevant to your unfolding plot while also building emotional connection. As it says at the start of the first section, perspective in first person narrative is everything. A first person narrator, unlike an omniscient narrator who can access every character’s thoughts and inner life, has limited knowledge. They have limited understanding, and have to use this partial view to understand events. This opens up many interesting story possibilities. For example, you can reveal in one chapter how a character interprets events from their own ‘I’ perspective. Then show in the next how another character sees the same events through their own lens. This ‘fixed perspective’ quality of first person allows for all kinds of intriguing shadow states and uncertainties. For example, in the opening pages of Margaret Atwood’s brilliant novel The Blind Assassin, Toronto-born Iris Griffen describes how her sister Laura drove her car off a bridge, to her death. Atwood’s narrator tells us it wasn’t the brakes on the car that led to Laura’s death. She suggests Laura committed suicide, and for explicable reasons. Yet her ‘I thought’ makes us aware that this is precisely her own interpretation of events. ‘I wonder’, ‘I hope’, ‘I imagine’ – shadow states of not knowing such as these make first person narrative intriguing. We become aware of the limitations of being an ‘I’ with a fixed window looking out on the world. Like the first person narrator, we, as readers, discover and revise what we thought we knew as the story unfolds. This isn’t wholly terrible, yet the constant first person pronoun ‘I’ at the start of each sentence becomes a little samey. Compare the two examples. The second example gets right into the character’s mind. We see their unfolding thoughts, as well as self-doubt (‘perhaps it’s the wind’), as though we’re thinking their actual thoughts as we read. Get help writing compelling first person narrative and develop and finish your novel or story.